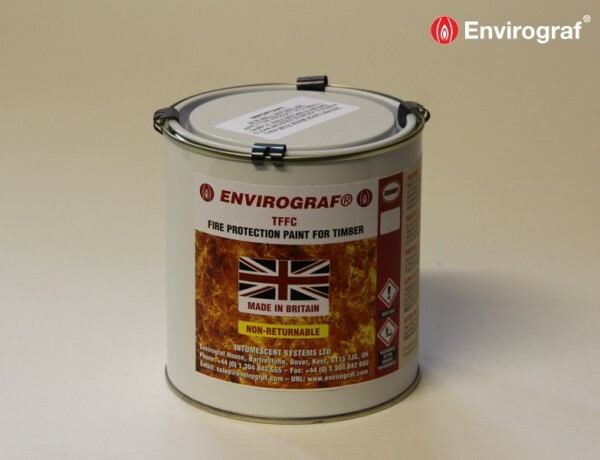 TFFC is a unique fire coating designed for protecting timber framed buildings during the construction phase. TFFC offers between 30 – 60 minutes fire rating dependant upon the thickness of the timbers. The coating dries offering a robust weather proof finish ideal for all open construction site conditions. – Provides Class 0/Class 1, 60 minutes fire protection and SBI. Can be applied using brush, roller or spray. 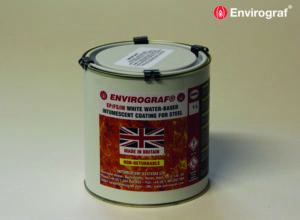 One coat at 12m² per litre is required for Class 0/Class 1 and European SBI. 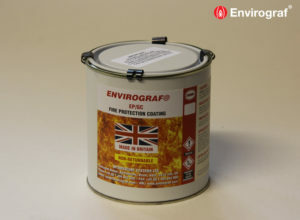 One coat at 6m² per litre is required for 30 minutes fire protection. Two coats at 8m² per litre per coat is required for 60 minutes fire protection. TFFC dries in one hour. TFFC should be applied in dry conditions. Tested to BS 476 Part 20 (1987) on a load-bearing floor including open joists, achieving a one hour fire rating. Tested to EN1364-1-1999 in a full rig simulating a complete side of a typical house in softwood, shiplap timber measuring between 19mm to 12mm, achieving up to 60 minutes fire protection.